Non-traditional releases are not a new concept for Radiohead. 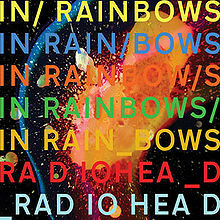 They put their last album, 2007’s In Rainbows out on the internet only ten days after announcing its release, and instructed downloaders to pay what they thought it was worth. They made an average of $2.26 USD, per download. On Monday the 14th of February, Radiohead announced that their next album, The King Of Limbs, would be released that Saturday, available as either a £6 GBP download or a £30 GBP “newspaper album” that includes two 10″ vinyl discs, 1 CD and lots of artwork, the physical album to be released in May, with the digital download to tie you over. They then tweeted a message in Japanese, which roughly translated read “Hachiko Square Shibuya, 59 minutes at 18 Friday”, fuelling speculation that the band would perform or broadcast a show in the Tokyo square. The broadcast was pulled due to security concerns, but the digital album was released and emailed to those who had pre-ordered 24 hours in advance. Since its release, music blogs have been speculating whether this is really it. At only 8 songs or 37 minutes, it does seem a little short. But some fansites have gone to the lengths of compiling lists of conspiracy theories as to why they expect more, some of the theories are plausible. For example, why does the newspaper album contain two vinyl discs when 8 songs could fit on to just one? And why are the orders from the site numbered TKOL1? Is there a TKOL2 to follow? BBC posted a video online, where one fan comes to terms with the fact that he prefers the old stuff to the new stuff. 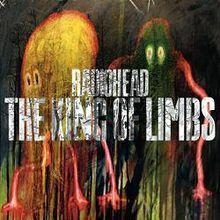 The King Of Limbs is named after a 1000-year-old tree in Savernake Forest, Wiltshire, near where they recorded In Rainbows. This entry was posted in Music, Online News and tagged album release, conspiracy theories, liam gallagher, radiohead, savernake forest, the king of limbs, tkol, wiltshire. Bookmark the permalink.